Because I am the nicest sister ever, not only did I do a fact, but I am also doing PKMN of the Week for Steven who is busy moving so couldn't do it. So I am sorry if this is really bad and *cough*justcopiedfrombulbapedia*cough*. 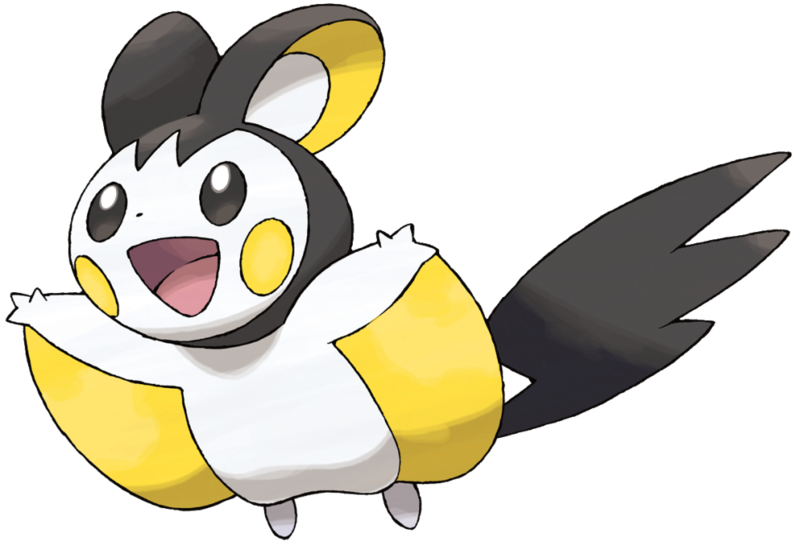 Emolga is a rodent-like Pok mon, primarily white in coloration, that most resembles a flying squirrel. He sports a vaguely hood-like patterning of black around its head, with a spiky extension of the pattern above its face. Emolga possesses winglike, yellow-colored flaps connected to its three-fingered arms. Its feet are white-colored and fairly small and its black-colored tail is in a jagged shape. Emolga appears to be based on the Japansese dwarf flying squirrel.